I like to switch my perfumes around and on some days I like to feel girly and feminine. My latest crush is the Sweetheart Forever from Ghost Fragrances – a floral and romantic fragrance which is inspired by one of my favourite cities, Paris. Imagine the cobbled streets of Marais bursting with delicate roses and lined with white flowers, fused with the exotic and woody trail of the orient. This perfume evokes feelings of young romance and the excitement of one of the most beautiful cities in the world. The fruity cassis, zesty orange and delicate lychee top notes break through the sweetness of the roses, leaving a gorgeous and subtle fragrance that reminds me of the exquisite femme fatales of Paris’ past and present. This gorgeous pink bottle is perfect for any dressing table. It’s small, elegant and made of frosted glass. 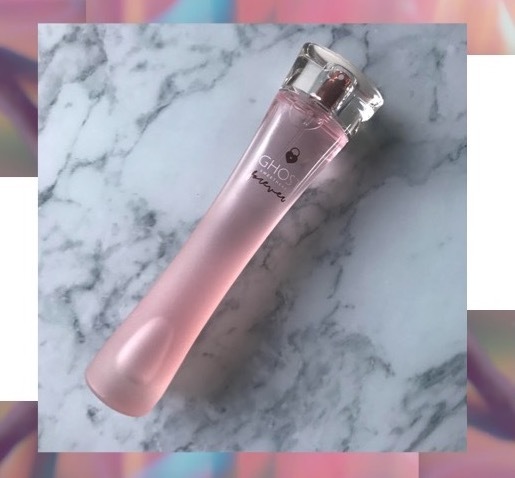 I would recommend this fragrance for people who like their floral and feminine scents or for people looking to invest in their first perfume. It’s cute, romantic, chic and fun! Previous Winter is coming – Rodial Pink Diamond and Dragon’s Blood Face Masks are here to help!